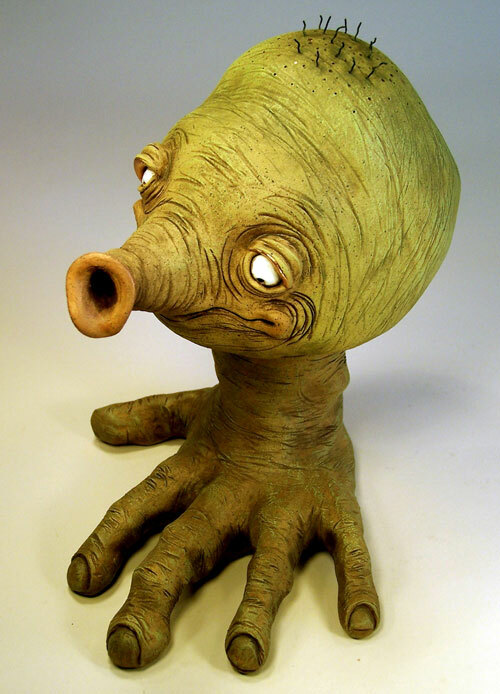 The North Carolina Pottery Center’s recent auction raised over $50,000, almost double last year’s total. One long term supporter of NCPC wrote, “The Pottery Center provided everyone a fun, festive evening and an opportunity to support a state treasure. It was indeed ‘the place’ to be. Held at Leland Little’s Auction and Estate Sales in Hillsborough, NC, the evening began with patrons selecting a handmade plate donated by a talented North Carolina potter. Next up was a delicious gourmet supper of food prepared by five of the Triangle’s most celebrated chefs, which everyone thoroughly enjoyed. The satisfied diners were then invited to bid on pots donated by many of the state’s best-known potters, and spirited rivalries erupted from all sides of the hall, as Leland Little enthusiastically raised the bidding ever-higher on each successive item. Combined with the Pottery Center’s recent Z. Smith Reynolds grant to help fund an Executive Director’s position, the results from the auction clearly indicate wide appreciation for all that NCPC does to promote awareness of North Carolina’s world-class pottery heritage through exhibitions, education, outreach, and visitor service. Located in Seagrove, NC, just south of Asheboro, NC, it’s a great tourist destination, and serves as the perfect start to a visit of area potteries. 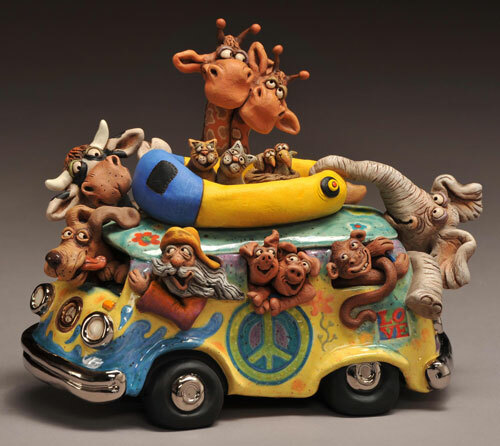 If you’ve never been to the Pottery Center, or haven’t been for a while, perhaps you are sufficiently intrigued to make a trip to Seagrove to visit this sweet museum that is the backbone of this fascinating community of potters. Thank you to our Auction Sponsors: First Bank, Leland Little Auction and Estate Sales, Shelton Vineyards, Katie B. Morris, Progress Energy, Carolina Arts, Gardner Heating and Air, Kimberly Woodard, Community One, Hans Klaussner Foundation and The Courier Tribune. The mission of the North Carolina Pottery Center is to promote public awareness of and appreciation for the history, heritage, and ongoing tradition of pottery making in North Carolina. The Center is located at 233 East Avenue in Seagrove, NC. Hours of operation are Tue. – Sat., 10am – 4pm. 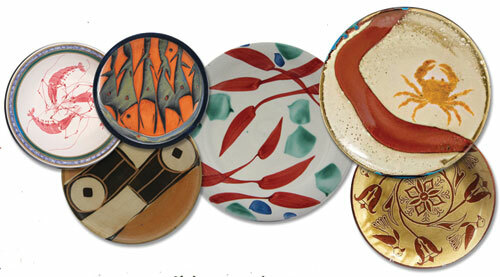 For more information, please call 336/873-8430 or go to (www.ncpotterycenter.org). The Board of Directors and Staff, on behalf of our Membership, are pleased to announce that the North Carolina Pottery Center in Seagrove, NC, has been awarded a grant from the Zachary Smith Reynolds Foundation, Inc. This special grant for $65,000 will be distributed over a two-year period and will serve as the core support for the installation of a new executive director. The NCPC is very excited about this opportunity to begin a nationwide search for a new museum director. This is a remarkable accomplishment for the NCPC given the present economic climate. By finding the NCPC worthy of this financial award, the Trustees of the Z Smith Reynolds Foundation, Inc., have demonstrated their confidence in the museum to bring stability and economic development to the pottery communities of our state. 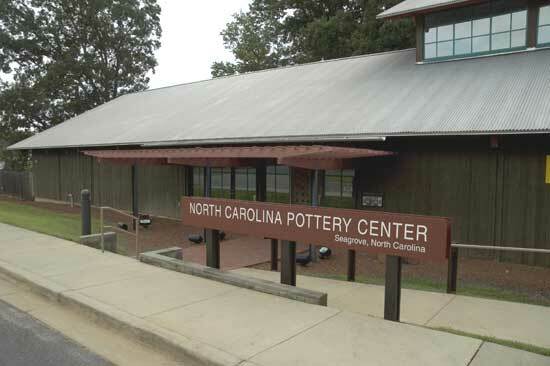 In keeping with the mission of the NCPC, to promote and preserve our state’s continuing pottery traditions, this grant will bring us the leadership required to move it forward into new partnerships, resource sharing, increased educational offerings, greater exposure, on-going exciting exhibitions, workshops, and off-site events. The Z. Smith Reynolds Foundation, Inc., was founded in 1936 and named as a memorial for the youngest son of the founder, R. J. Reynolds. In 1951 the foundation was increased by a trust from the uncle, William Neal Reynolds. The Foundation, now comprised of the income from the ZSR Trust and the W. N. Reynolds Trust, has distributed grants to recipients of all 100 North Carolina counties, totaling more than $493 million. The NCPC is very honored to be one of the latest recipients of this prestigious award. This endorsement will provide the NCPC with valuable standing as it approaches a new future of vigorous partnerships targeted towards the promotion and preservation of our pottery and the arts. Also, don’t forget the Pottery Center will be hosting its 13th Annual Auction, “Going, Going, Gone to Pots,” on Thursday, Aug. 23, 2012, at Leland Little Auction & Estate Sales in Hillsborough, NC. This year there will be an unprecedented, star-studded, pre-auction supper, called, “Fill Your Plate,” with food prepared by several of the Triangle’s best chefs, and served on plates made by North Carolina potters. You can read all about it at this link.